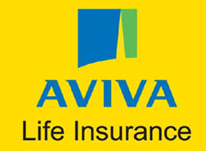 Leading private sector players HDFC Life Insurance Company and Birla Sun Life Insurance Company are among the 6 firms including Samsung Life and Manulife, in race to buy Aviva Plc's Indian business Aviva Life Insurance, a joint venture with Indian conglomerate the Dabur Group. The UK-based insurer has appointed JP Morgan and Deutsche Bank to sell its stake in the Indian joint venture. As foreign insurers are losing their confidence in Indian insurance market, the Dabur Group will also sell its stake in the JV. “We have received bids from six companies, both existing and new,“ said Aviva Life Chairman Mr. Mohit Burman, adding, “If the valuation is right, we may look at exiting from the business, too." The company has performed very poorly with its total premium income falling 11 per cent in the previous financial year to Rs 2,140 crore. As of March 2013, the company equity share capital of Rs 2,005 crore. It has an embedded value of Rs 1,800 crore.